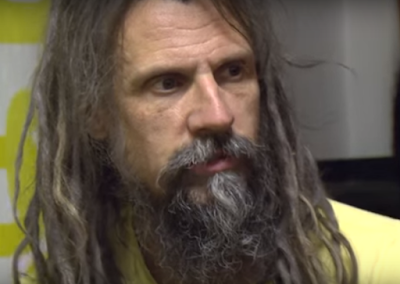 Rob Zombie was recently interviewed by EMP Rock Invasion, you can read some excerpts below. About if he thinks crowdfunding is the future of artistic freedom, Rob said: "I don't know. I think it kinds of works right now and it's kind of cool, but I don't know if people get sick of it. 'Cause like most things, when it's new and when it's a new idea, people are kind of excited about it, but I don't know how many times you can keep crowdfunding things. But I don't know… I think what's gonna be the next thing, though, will sort of be like crowdfunding, but if you put in a certain amount of money, you're an actual owner of part of the movie. So if the movie makes money, you'll make money. I think that's the next thing. No one's been able to quite figure out how to do that yet, 'cause it's very complicated, if you suddenly have a thousand people that have a percentage of the movie and how do you pay 'em. But I think that's gonna be the next thing they figure out." About the next Rob Zombiealbum: "The next studio record's done, and it's not out yet, because I was working on the '31' movie, and I was, like, 'I can't really properly tour yet in support of it.' So the new record will be out next year, and we're gonna make a full-length, I'm not sure what it's gonna be yet; I'm still trying to figure it out, a full-length movie to go with the record. Because I know, at this point, people don't care about CDs. I don't know if they care over here in Germany. But I know that people still like watching videos and stuff, and if you make interesting visual content to go with the songs, it seems like people like that more. So that's what I wanna do."